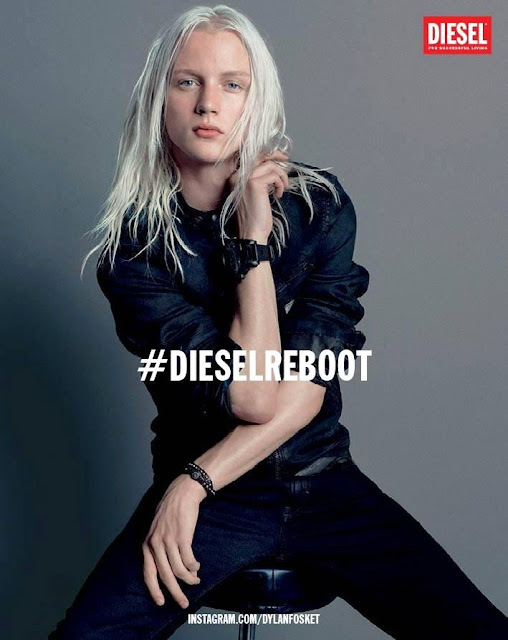 Photographers Inez van Lamsweerde and Vinoodh Matadin captured the ad campaign of Diesel for the fall 2013 collection. 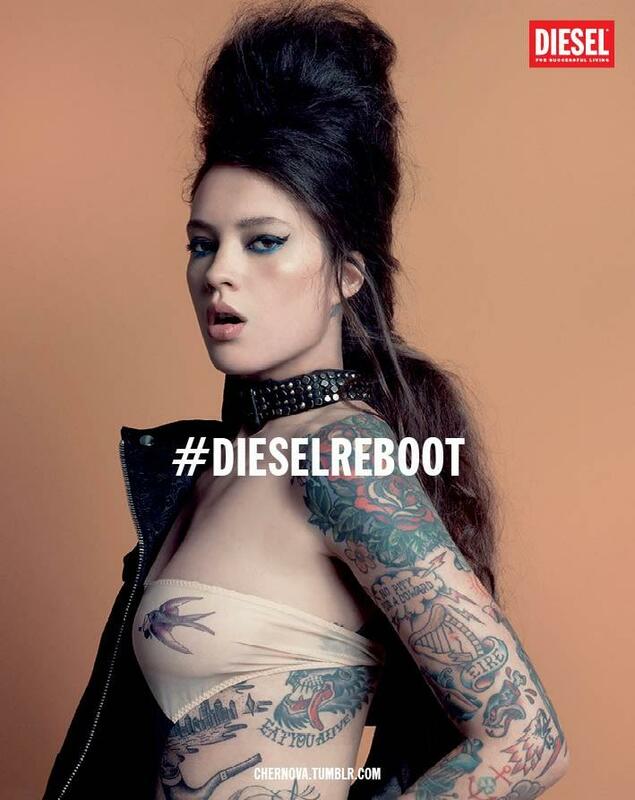 Instead of focusing on models or actresses with big names, Formichetti relied on Tumblr and word of mouth to cast the subjects of the campaign. 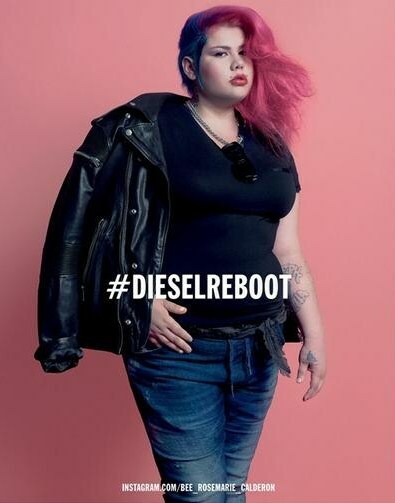 The 20 people chosen primarily live in New York, work in artistic fields and clearly aren’t wallflowers, with tattoos, varying body shapes and sizes, colored and shaved hair and androgyny heavily represented. Examples include Michelle Calderon, a 22-year-old pink-haired graffiti artist; Helen Primack, a 15-year-old aqua-haired aspiring filmmaker and student at the Frank Sinatra School of the Arts in New York, and Benjamin Ackermann, a light-eyed 23-year-old photographer, musician and collage artist. 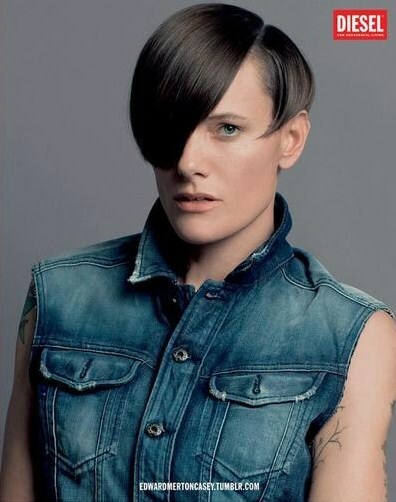 There are a few models in the mix, notably Loulou Robert, Omahyra Mota and Casey Legler, the former Olympic swimmer who broke gender barriers as a woman being contracted as a male model. “I wanted to find people who reflected the diversity of the creative community today and not just the typical model. I wanted the campaign to showcase a variety of characters, people who are beautiful in their own unique way,” said Formichetti. The ads will break in the September issue of Vogue and will run in additional books in October. 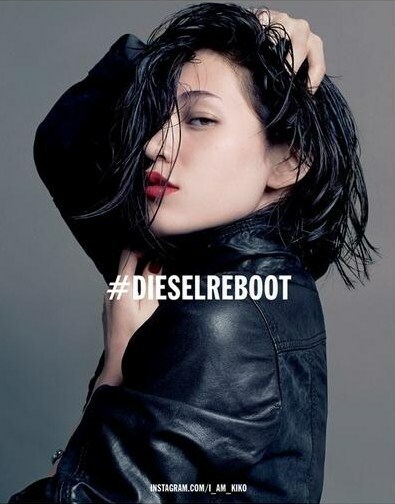 Inez van Lamsweerde and Vinoodh Matadin shot them, and Formichetti styled them with Diesel denim and leather. Formichetti explained the photos are meant to merge classic portraiture with the sensibilities of the current generation of digital influencers. 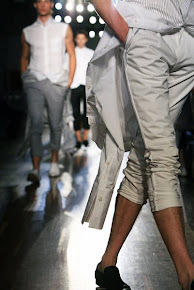 “It was less about capturing fashion and more about getting an insight into these people’s souls. No one captures people better than Inez and Vinoodh. They construct a photo with so much care and compassion to always pay tribute to the subject. Personally, it was a pleasure to work with them because when I was starting out they were my heroes,” he said. Models: Casey Legler, Dylan Fosket, Ira Chernova, Kiko Mizuhara, Loulou Robert and Omahyra Mota.